These are best quality products. The quantities shown are only indicative as they can change quite rapidly. Please contact us for exact prices as they will depend on the quantity required and the delivery address. 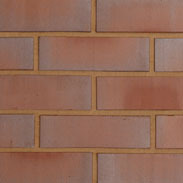 Varied tones of rich red, brown and blue multi-coloured brick slips with a smooth finish.